Years of subtle shape and contour adjustments culminate in Scotty’s newest Del Mar design, a mid-mallet so souped-up and stunning, it commands attention and long, thoughtful stares. 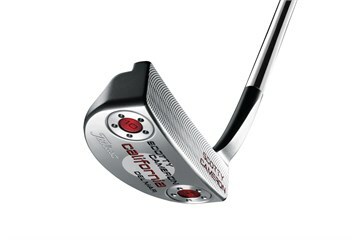 Favored by players who prefer the soft, flowing lines at address and a putter that promotes a generous open and close toe flow motion, the new California Del Mar is a classic shape with style reminiscent of a vintage roadster tuned to perfection. 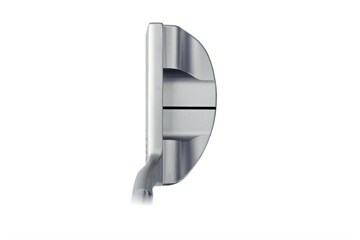 Heel shafted with an engraved sightline, a flow neck and ¾ shaft offset, every detail of this new stainless steel beauty has been refined. Deep face milling—a trademark of the new California line—Scotty’s gorgeous new Sea Mist finish, as well as the Tour-player preferred Pistolero grip all come standard with the new Del Mar, a unique and breathtaking spin on a legendary performer.